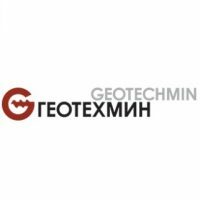 GEOTECHMIN is one of the leading business groups in the Bulgarian economy, having made significant contribution to the country’s dynamic and sustainable development. The history of GEOTECHMIN began at the end of 1990 by establishing a private company offering consulting and engineering services in the sphere of mining industry. Since then, the company has expanded its range of activities in new lines of business. Today GEOTECHMIN GROUP has taken leading positions in mining and construction industries. The Group’s companies have extensive experience and proven expertise in the sphere of exploration, extraction and primary processing of mineral resources. GEOTECHMIN GROUP successfully operates Ellatzite mine for open-pit mining and primary processing of porphyry copper gold-bearing ores. The Group’s companies also work in the spheres of real estate and investment projects, trade, energy and environmental solutions, agriculture and service sector.